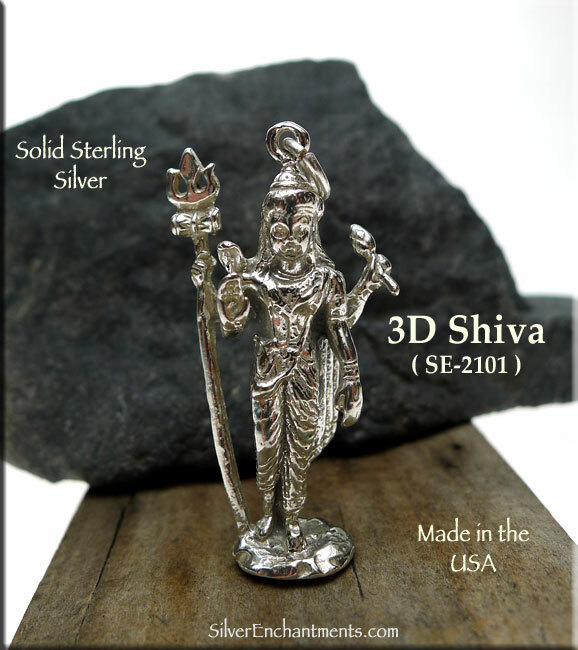 Cast in Solid .925 Sterling Silver (not hollow or plated), these Lord Shiva Pendants can also be used as Altar Statues. 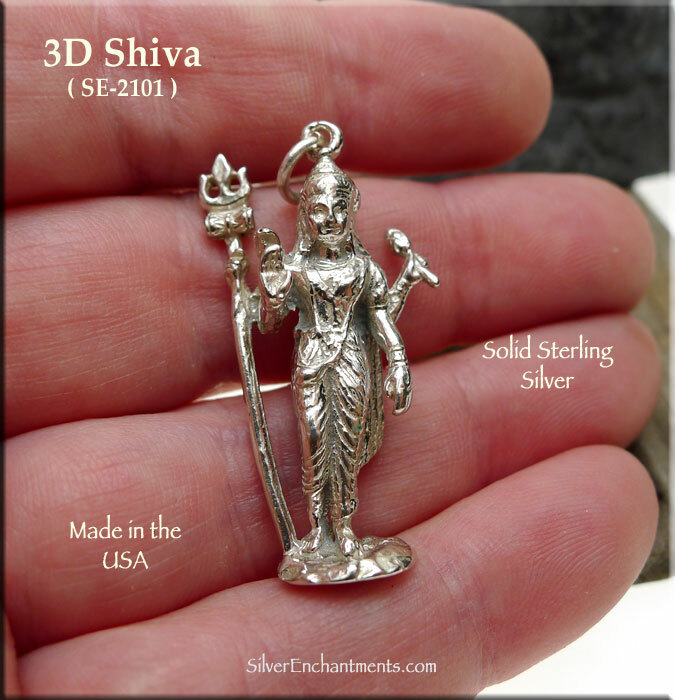 Hand-cast by us here in the USA, these Shiva pendants measures approximately 37mm tall x 19mm x 9mm deep. In Hinduism, Shiva is the destroyer of the world. Shiva is responsible for change both in the form of death and destruction and in the positive sense of the shedding of old habits. 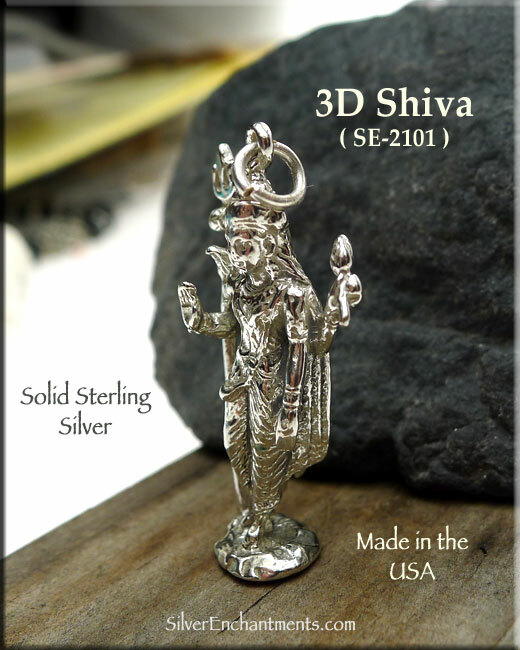 Shiva is the third form of God as the Destroyer, one of the trimurti (popularly called the 'Hindu Trinity'). In the trimurti, Shiva is the destroyer, while Brahma and Vishnu are creator and preserver, respectively. In Satyam, Shivam, Sundaram or Truth, Goodness and Beauty, Shiva also represents the most essential goodness. 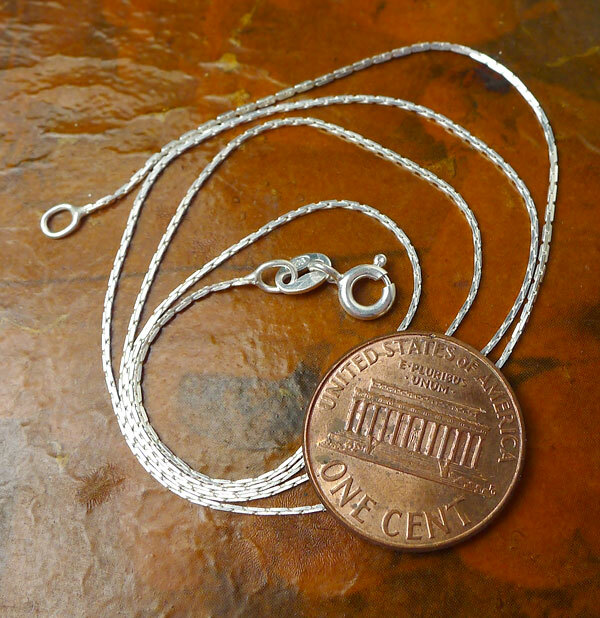 Shiva is the god of the yogis, self-controlled and celibate, while at the same time a lover of his spouse (shakti). Shiva's first wife was Sati and his second wife was Parvati, also known as Uma, Gauri, Durga, Kali and Shakti. His sons are Ganesha and Kartikeya. 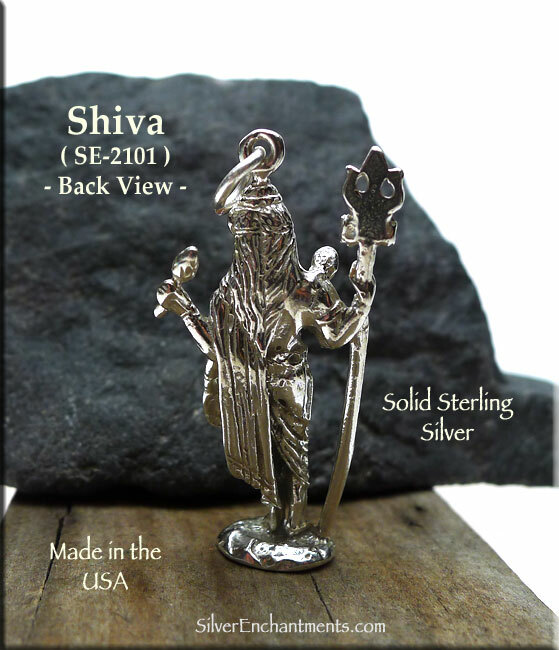 Shiva lives on Mount Kailasa in the Himalayas. As Nataraja, Shiva is the Lord of the Dance, and also symbolises the dance of the Universe/Nature, with all its delicately balanced heavenly bodies and natural laws which complement and balance each other. At times, he is also symbolized as doing his great dance of destruction, called Taandav -- dissolution of the universe. Although he is defined as a destroyer (or rather recreator), Shiva, along with Vishnu, is considered the most benevolent God. One of his names is Aashutosh, he who is pleased by small offerings, or, he who gives a lot in return for a little.